by Lars-Erik Olson on April 17th, 2019 // Leave a comment! by Stevo on April 11th, 2019 // Leave a comment! by TDR Editorial on April 1st, 2019 // Leave a comment! It has been rather silent around Per’s wine business but just in time for this summer’s Gyllene Tider tour, he’s back with something sparkling new. by TDR Editorial on March 25th, 2019 // Leave a comment! Good things come to those who wait, and the waiting is over now. The Daily Roxette is proudly presenting “Per Gessle’s Roxette – The Unofficial Tour Book 2018” as a real, physical, touchable hardcover book. Here are the details. by Paul Belben on January 31st, 2019 // Leave a comment! by TDR Editorial on January 11th, 2019 // Leave a comment! Well then there now, Per Gessle is behind Mono Mind?? Now that’s mind blowing. Who woulda thunk? Per, Christoffer, Clarence and Helena – Dr. Robot, Bright Jones, Rain Davis and Cooky Carter! by Thomas Evensson on January 9th, 2019 // Leave a comment! Per Gessle Presents Mono Mind – release January 12 when Per turns 60! by TDR Editorial on December 24th, 2018 // Leave a comment! It’s time for Xmas again, and this time The Daily Roxette goes all in with a specially made Xmas present for all of you! by Visa Kopu on November 14th, 2018 // Leave a comment! 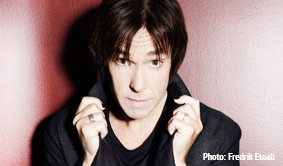 HELSINKI – Per Gessle had brought his band to Helsinki, Finland, in the most miserable November weather you can imagine. The concert was originally planned to a larger arena in the neighbouring city of Espoo, but moved and re-scheduled to Kulttuuritalo (Culture House) in the capital. Yesterday we celebrated The Look and it’s 30 years. Today we focus on Crash!Boom!Bang! and it’s birth 25 years ago! A fresh album still, with an album sleeve idea from Per and Marie. What could go wrong? Gyllene Tider’s Stockholm concert has been moved to the stadium, as predicted. You may download this photo for personal use. 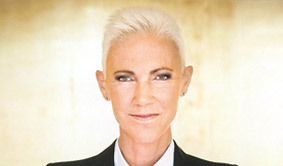 Copyright: 2015, The Daily Roxette. All rights reserved. I hope you’re having a wonderful easter🐣❣️Tune in TV4 22.30 22/4 or TV4 play! To enjoy the whole concert ”En vacker kväll” with Per Gessle and band!